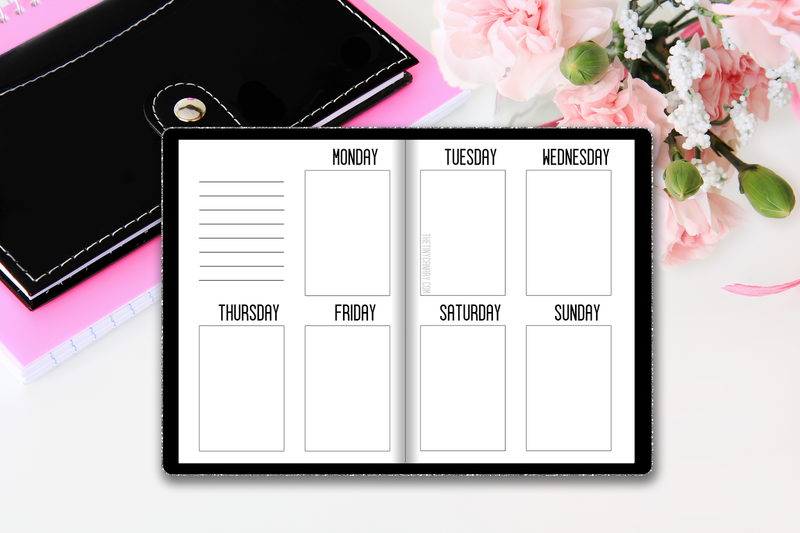 With wide sizes on the rise, I figured I would create a week on 2 page layout that could be used with the ever so popular ECLP and Happy Planner stickers. Each box measures at around 1.5" x 2.2". These measure just above the size of a header and full box. The size of the booklet closed measures 4" x 5.75" closed. File includes 11 pages of the week on 2 page printable. Print as many sides as you want, double sided on the short side. After a few requests on instagram, I have decided to make a few of my own personal inserts free to download here on my blog. 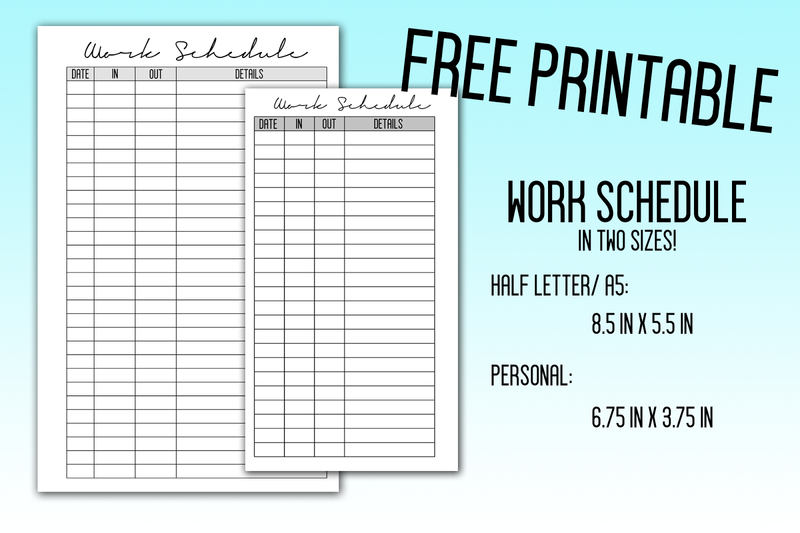 These are perfect for tracking your hours for work or if you want to double check your time card. I have made these available in both Personal and A5 sizes. I suggest using A5 or half letter size paper (regular letter paper, cut in half) since I provided cut-lines based on that size. *** I also recommend using Adobe Acrobat*** This is super important because it helps center my pdf file to the paper size you are using. Please do not distribute this freely amongst others and make sure to link back to my blog website instead of providing others with the direct download. After completing last years 2017 year at a glance calendar, I did not expect such positive feedback from my readers. 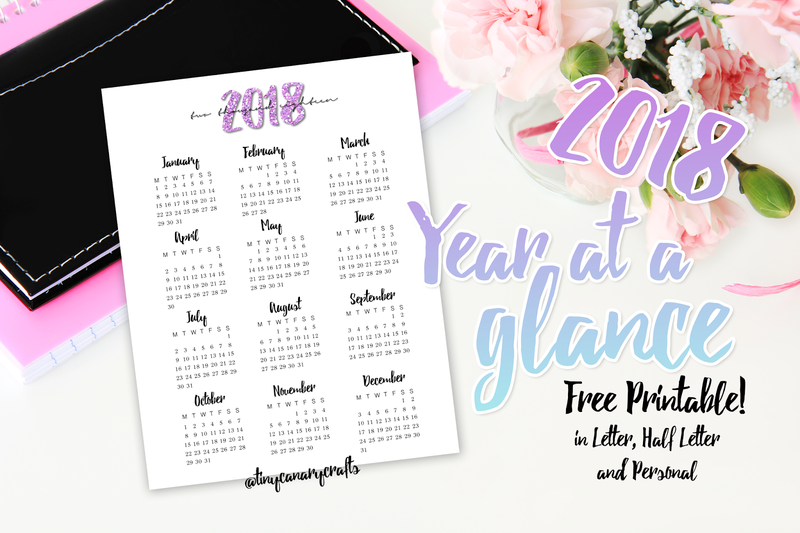 After a few requests, I decided to give the calendar a minor facelift for the following 2018 year and I hope everyone likes it! I decided on a Monday-Sunday after a quick poll and an easier to read font for the actual dates of the months. Alongside the font changes, I also increased the DPI and resolution for a higher quality print. 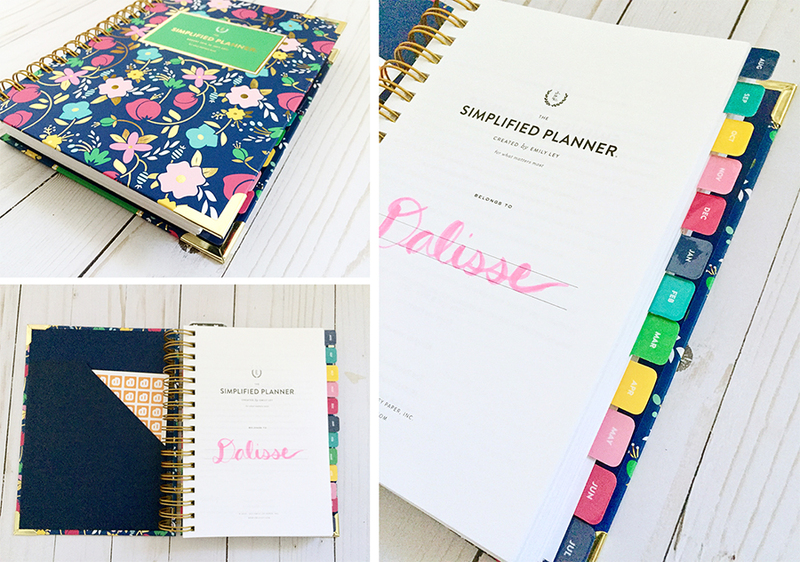 You may also notice that I have included two new popular planner sizes in A5/Half Letter and Personal. 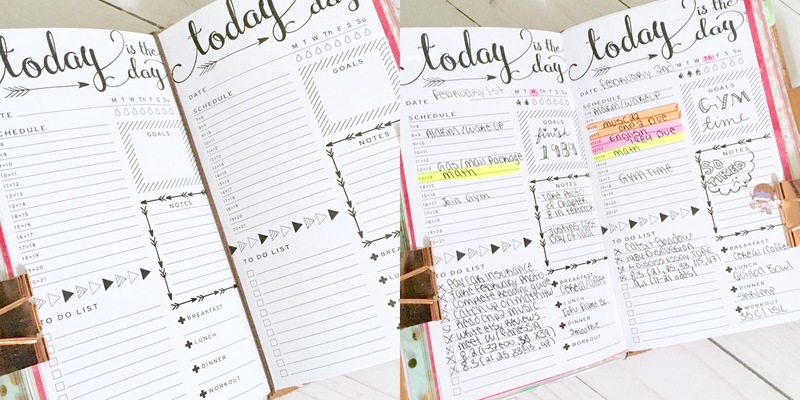 That should make editing the size a little easier for you to punch these into your planner! Planning has been a part of my life for years now it seems. When I was in high school, all I really needed was a large empty space for all of my classes. Now that I am quite a bit older, I really need different sections to separate all different aspects of my life such as college, work and my blog. Most people who are dealing with agendas, really know the struggle of trying to make their system as functional as possible and I feel like I am really satisfied with what I have going on. For the most part, the travelers notebook has given me back a lot of what my ring bound system was lacking. Don't get me wrong, I ADORE ring bound agendas. 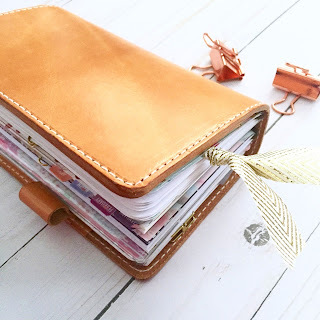 In fact, I still have two on my shelf that I occasionally dip into now and again, but I always manage to find myself back with my personal size leather notebook in a matter of days. 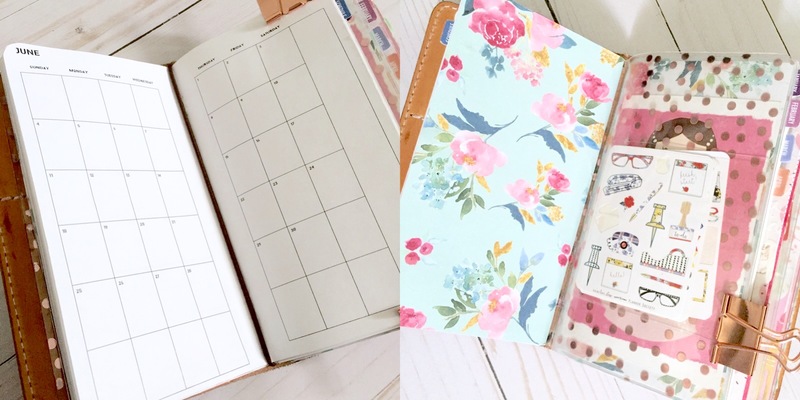 Now lets talk about why I even need something so luxurious for simple planning. Why not just use those $5 dollar agendas at Target or Walmart? Heck, why not just use my phone? Well, I started out using just that! 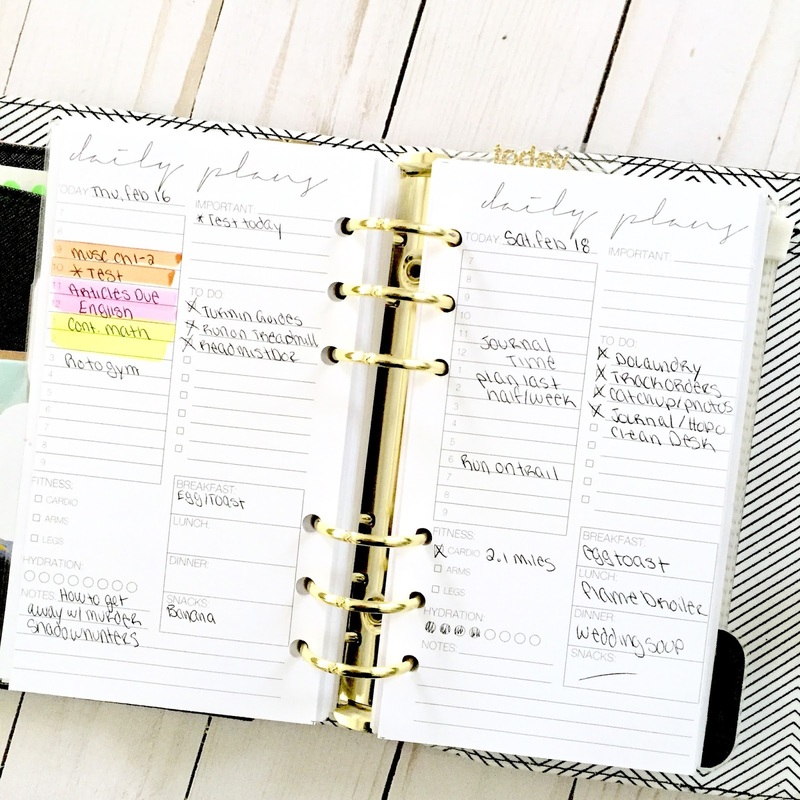 For years I counted on those weekly agendas to get me through but through research I found that there were many other options that catered to getting tasks done as efficiently as possible. There are quite literally hundreds if not thousands of customizable shops that carry many different types of materials for your planning. There are shops that offer digital downloads in an array of different planning styles, such as daily, weekly or monthly, that you can print out at home. Say you work the most efficiently with a to do list and a health tracker, there are so many options for you to chose from that give you just that. The options can be a bit over whelming but I suggest creating a list of the things you know work for you and then starting from there. There are also shops that carry everything already pre-made for you. This, of course, is the most convenient option for people since they don't have to deal with the cutting and binding of doing it at home. 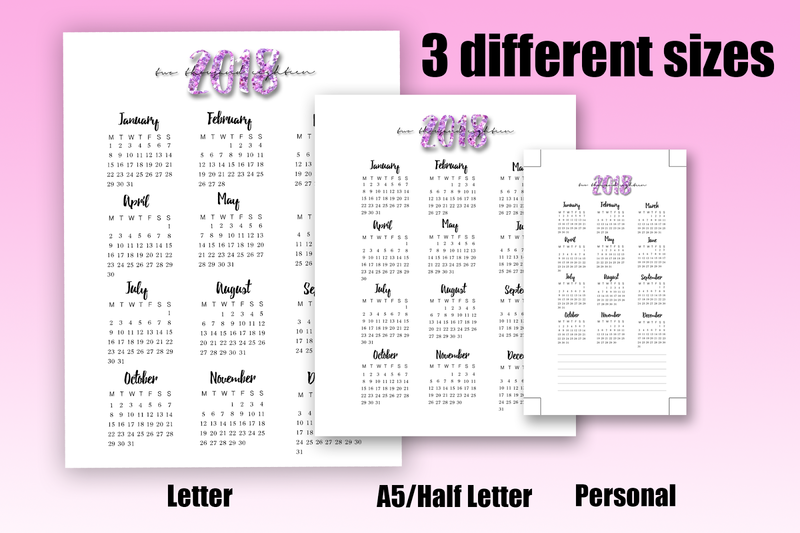 The most popular option for these have to be the Day Designer and Erin Condren, but with that comes a hefty price tag. While I personally believe the investment is worth it (if it helps you become more efficient), I understand that spending 50-100$ on an agenda is out of the question. 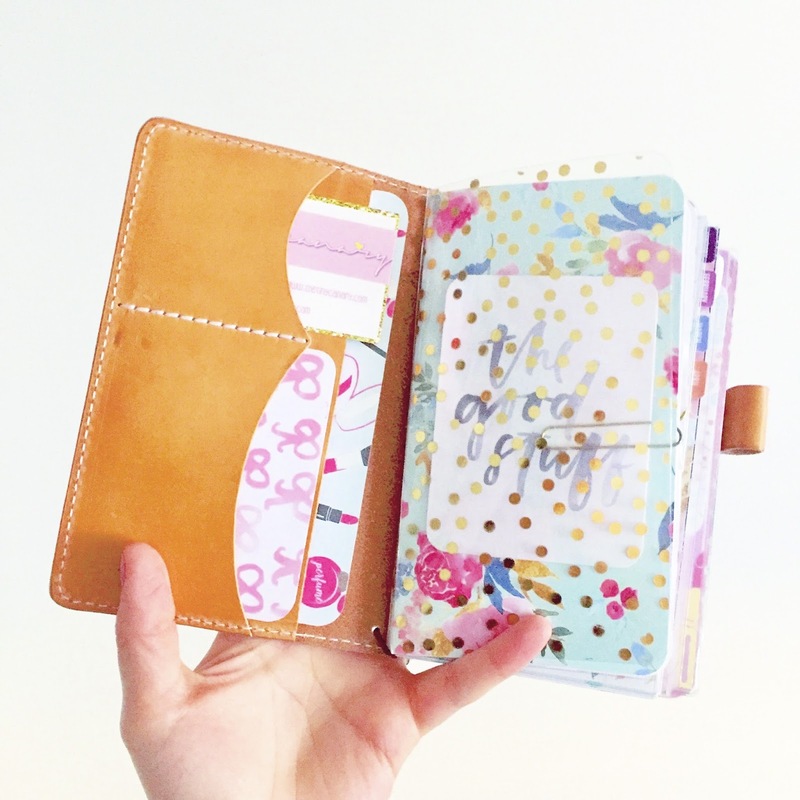 (Other inexpensive options include Ban.do, Happy Planner, Target, or Paper Source) With that being said, I too love to save my money and try to save wherever I can. For me, a reusable cover was something I knew I wanted. 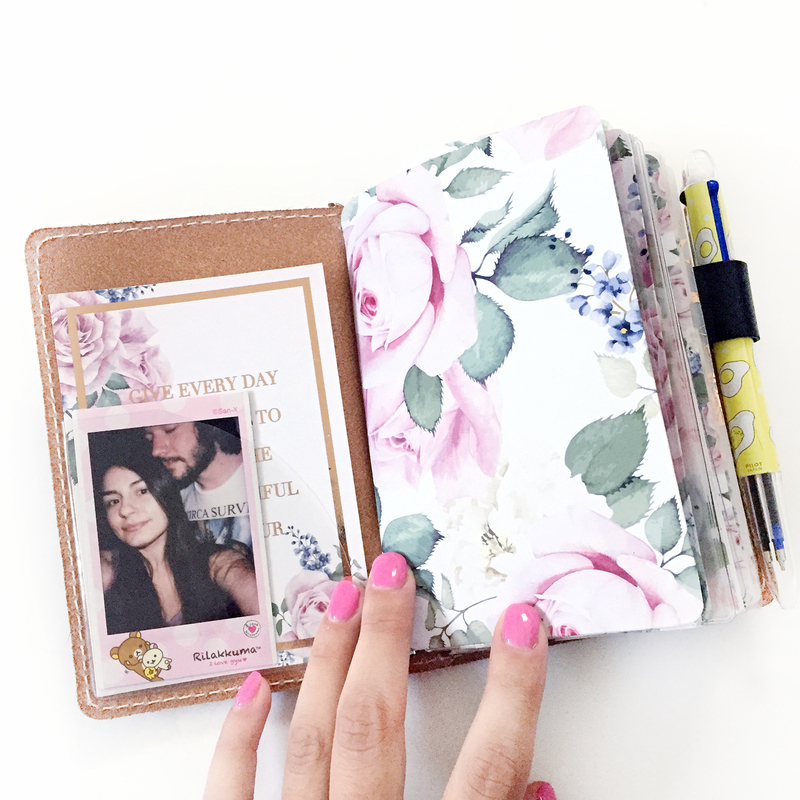 It is more upfront money for a cover (Ring bound or Notebook), but the materials inside are inexpensive to replace, and with digital downloads, it is pocket change. 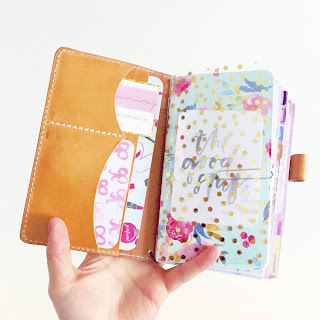 While some shops do carry pre-made papers to go inside your notebooks, I find myself too indecisive to purchase a set and end up not liking it, which is why I always opt for printable digital downloads. The reason I switched from a ring bound cover to a travelers notebook is because the rings really took up precious writing space and was quite irritating to write over. Not only that, but the rings are so large that the binder itself is too substantial to take on the go with me. Of course a larger bag would solve this problem, but I prefer traveling light. While I am making it sound like a bigger problem than it is, it really isn't a deal breaker for me. I actually still love using them for other things so they don't go without a purpose. With that being said, I have a pretty good setup for me right now. 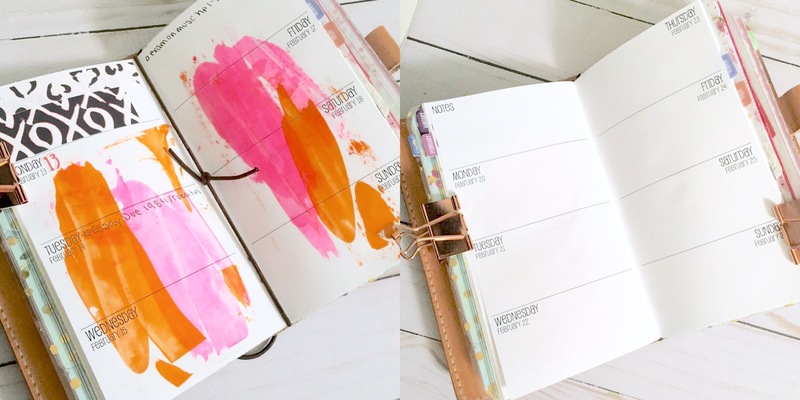 I use a basic month on two pages booklet that I got free from Pengems (Link here), and this keeps only the most important dates such as events, appointments and deadlines. I did have to set this up to fit my TN, but you can always print as usual and tape them at the edge to make a booklet. To make the covers of all these booklets, I either buy scrapbook paper or download digital paper (link to the paper used below here), print and cut to size around the booklet. I tend to often switch these papers out so I usually leave them unattached from the binding of the rest of the book. The next booklet I own, I purchased from the store SewMuchCrafting on Etsy (link Here). The smooth paper of this booklet makes writing enjoyable and encourages me to use it more frequently. My agenda is something I want to make my own which is why every now and then I like to decorate it. I try not to go too over board because there is point where it becomes more of a distraction then help. 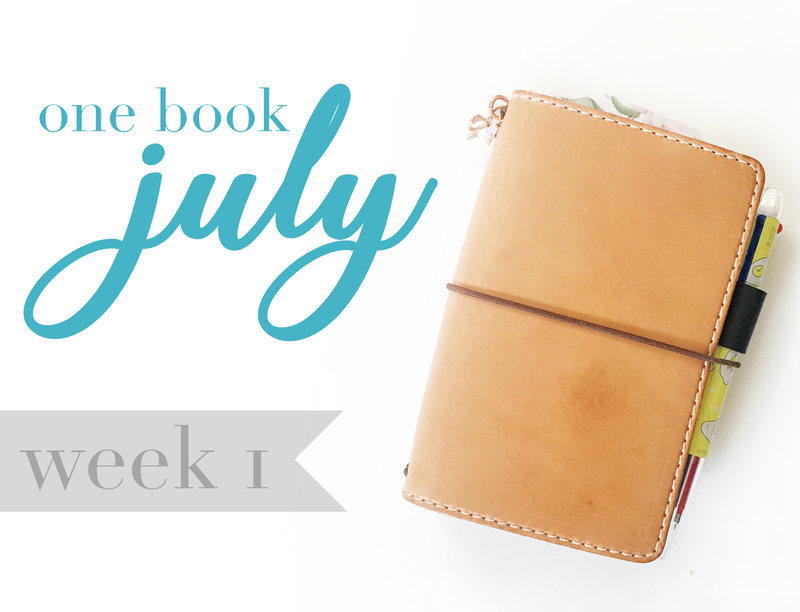 The reason I choose this standard, horizontal week on two page layout is because it is what I am comfortable with. I have tried other layouts before, but this weekly layout really helps me get an eye of what my week is going to look like. This generally includes assignments, tests, appointments and meetings. I also like marking birthdays and holidays on my weekly layout. ***Because I like to plan using sentences and notes, the horizontal is more for me, but if you work off of key words, then perhaps you should try a vertical format! Technically, I could get away with just using the weekly layout and still getting everything accomplished, but I find that using daily pages during busier days (such as school days), I tend to get a lot more done. With these daily pages, I can focus solely on the tasks that need to be done that day and often find myself building better habits by doing so. I recently switched into these digital printables by HappyDigitalDownload on Etsy (Link Here), and am really loving them so far. 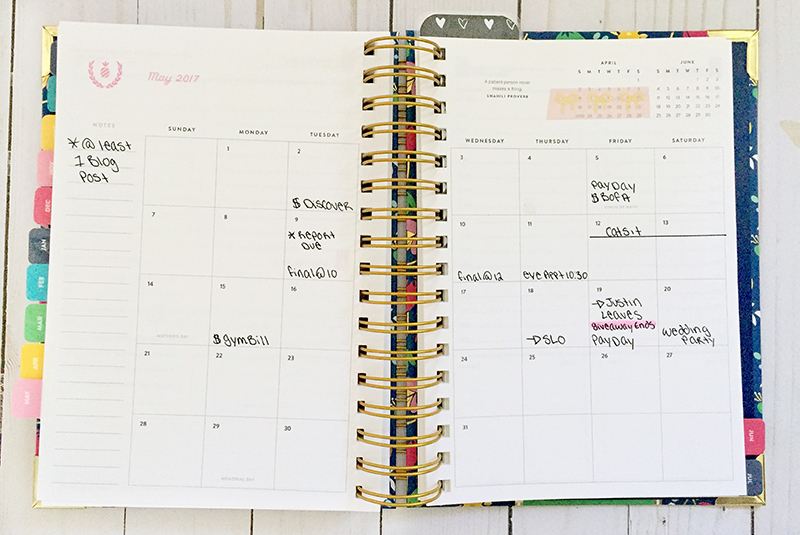 Before this, I was using FrasizzleMades grid daily pages (shown 2:43 video below), which I loved, but really wanted to try something I could date myself and not waste the unused days. Lastly, I have a notes insert and an important information insert. I made my notes insert myself by printing out lined paper from Incompetech (here) and trimming to size. You can also do the same with regular filler paper that you can get at any store. I believe it is essential to have notes pages regardless of the planning system you have because you really need a place to brain dump to collect your thoughts. 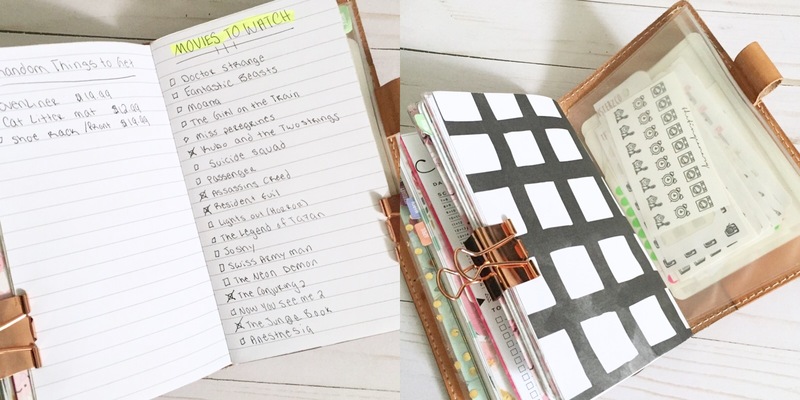 It is also a great place for grocery lists, goals, and other sorts of lists. Below I have listed a mini shopping list and a "movies to watch" list that I refer to frequently. It comes in handy quite a bit whenever I need to remember something! Right behind that book, I have another insert for all of my important information such as addresses, phone numbers and certain password hints. This is great whenever I'm on the go because I may not always have my phone charged to look up this information. This also isn't essential, but it really is useful for those who don't have the greatest memory (AKA ME!!). I am pretty happy with my setup as of right now and don't see myself changing anything any time soon. 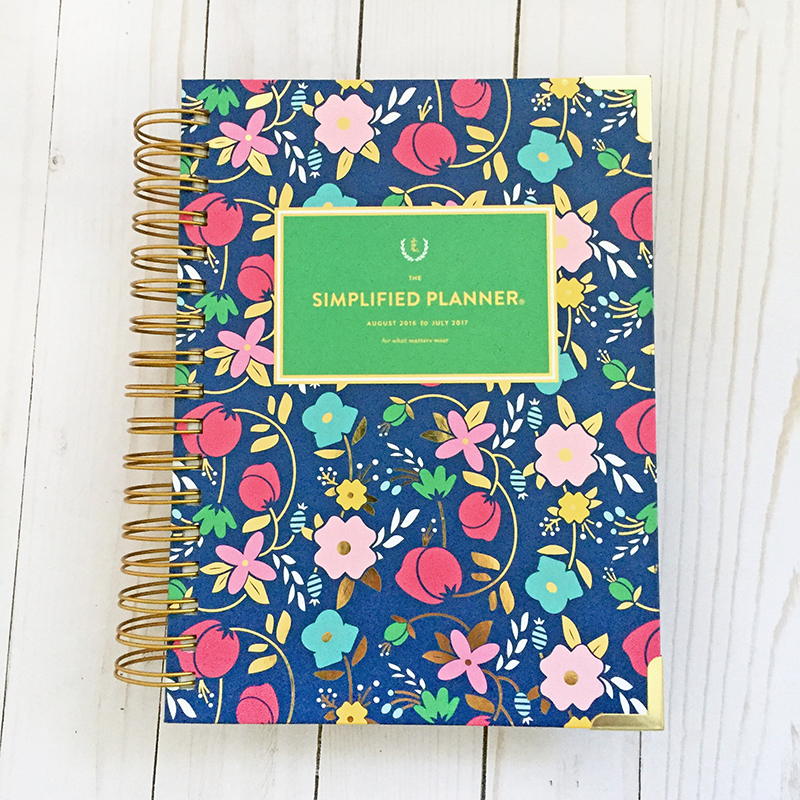 I hope this was helpful to anyone that may have some trouble deciding what to do with their planning set-up! Check out my video of all the planners I plan on using for 2017! 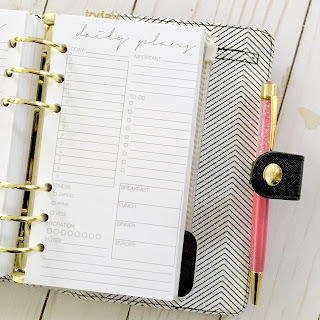 *I did switch out the recollections planner back to my at-home Happy Planner for fitness, as I found the recollections planner to be to heavy to carry to class.